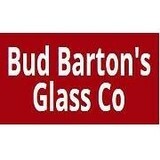 Since 1981, Bud Barton's Glass Company has been performing commercial and residential window repair, fixing and replacing residential windows, door glass and mirrors, repairing auto glass and enclosing retail spaces. 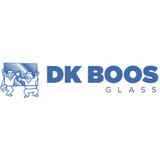 Our family-owned business can help you with any glass-related emergency, repair or contracting need. Hy-Lite Mirror and Glass was founded by Art Biggs. Opening as a small residential glass shop located near the University Village it became a family business employing Art, his two sons and a daughter. Business was good and the business soon out grew the rental space. Opportunity arose for Art to purchase his own property in 1976 which brought Hy-Lite to the Stone Way location. In 1982 Byron Hensley was hired as the first nonfamily member employee. 2005 brought significant change when Byron purchased the business from the Biggs family. After 37 years at the Stone Way address Hy-Lite once again had outgrown the space. Wanting to stay in the general neighborhood to better serve our loyal customers we chose a great location a short distance away in Ballard. We look forward to the years ahead at our new home. Glass is one of the most useful materials to use in a home, but it takes a skilled glass company in Kirkland, WA to correctly handle it. You use it all around the house, whether you realize it or not — windows, doors, showers, mirrors and more. While glass can be a very sturdy material, it’s also prone to break if not properly maintained. Make sure you hire professional Kirkland glass companies to install or repair your products safely so you can live comfortably. What can a local Kirkland glass company help me with? If it’s a major home glass repair or replacement, the Kirkland glass company should work directly with your insurance company to help bring down costs for you, if applicable. Find Kirkland glass companies on Houzz. 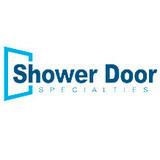 Narrow your search in the Professionals section of the website to local glass, mirror and shower door services in Kirkland, WA and read reviews and ratings to find one that fits your needs.